I know safety is important, but this poster is way harsh, Tai. Dang! 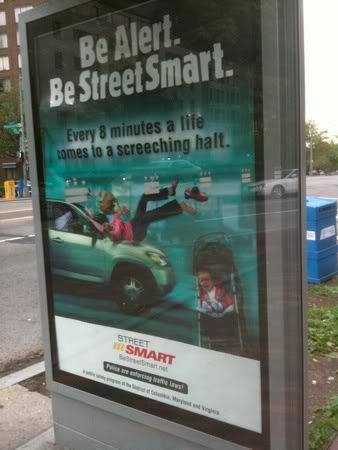 Look at the attention to detail: the shoe flying off as the mom rolls onto the car's hood, the baby sobbing in the stroller. May 10, 2010 by Adele Chapin.